Exquisite, three-part leaves and beautiful bark distinguish this choice species. The Paperbark Maple can be grown in a large planter, as a specimen near a patio, or in a grove, widely spaced, with other exquisite maples. It is breathtaking when sited so that the leaves are backlit as they emerge, and again in their autumn glory. You'll want to put this tree where it can be seen, touched, and admired. The Paperbark Maple is a spectacular tree, twenty to twenty-five feet tall, and has incredible year-round beauty. 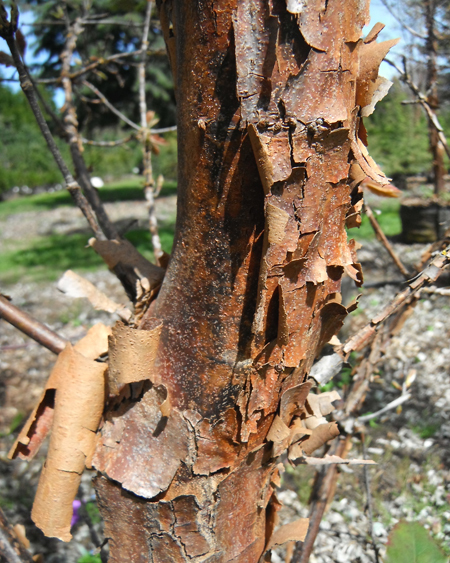 Papery orange-brown bark peels to reveal a copper-colored trunk. Leaves on this trifoliate maple are exquisite in form and color when emerging, as well as in their brilliant fall display. The Paperbark appreciates a lightly shaded site and regular moisture. 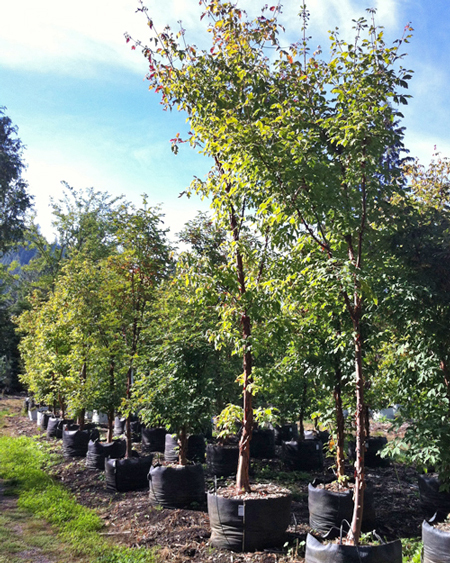 This is one of our most beautiful trees, unbeatable for many specimen situations.